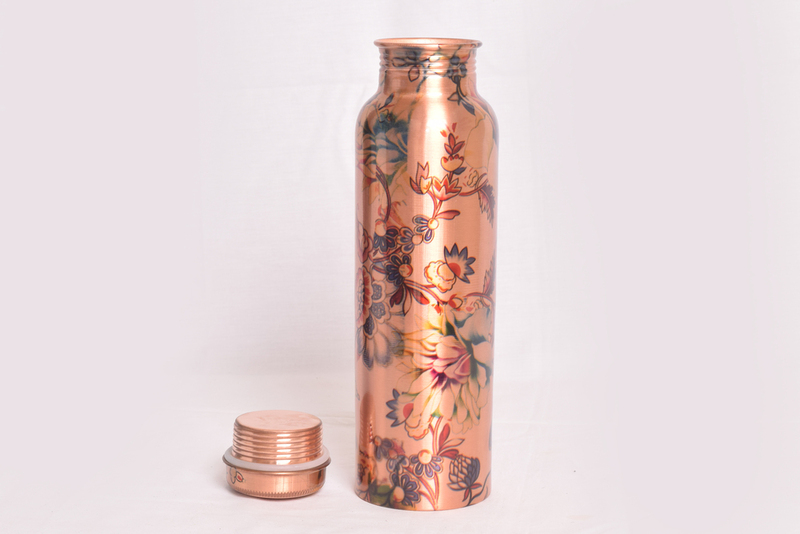 Provided Printed Copper Bottle is highly demanded in the market because of its various health benefits. As we know that copper is very good for health so water contained in this bottle is good for washing gastrointestinal tracts and flushes the kidney. Copper is good tonic for liver and spleen, Offered bottle is used for keeping water and that water is good for curing anemic. Having attractive print and alluring design, this bottle is highly appreciated among clients. This bottle has mesmerizing look, enhanced durability and perfect polish. 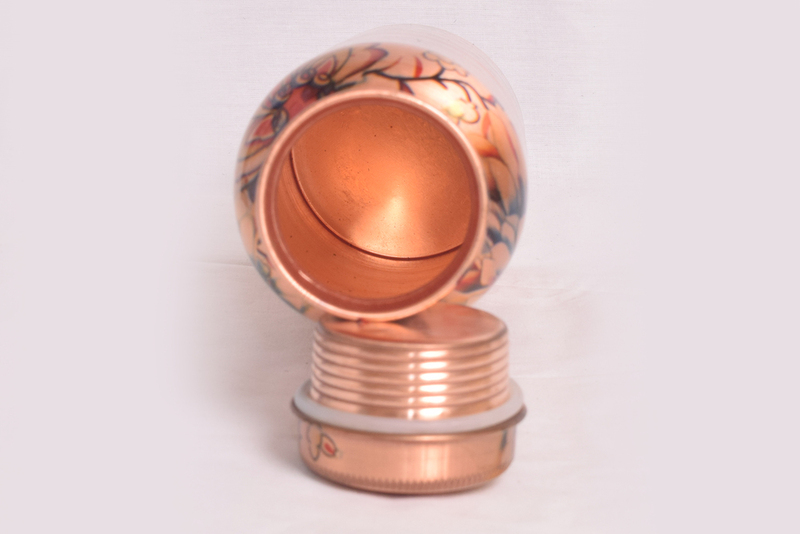 In addition, provided Printed Copper Bottle is available in various sizes and prints as per client's requirements.